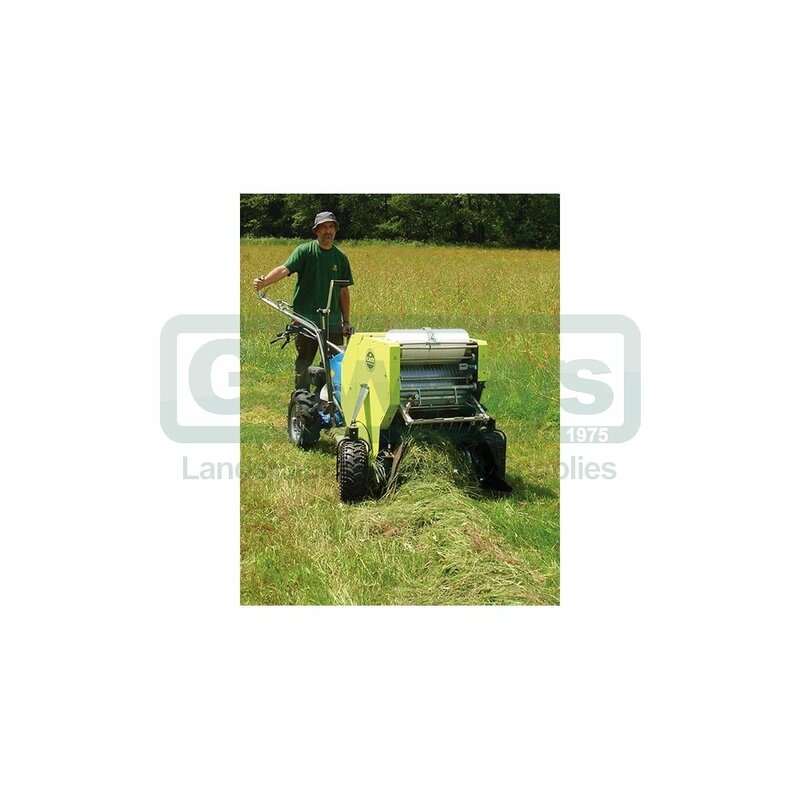 The mini baler can easily bale up to 1.2 tons in good conditions, producing round bales just 52cm (20”) x 55cm (22”) in size and weighing between 20-25kg. The bale is bound with a net wrap (supplied in a 1500m roll) which takes just a few seconds to wrap. 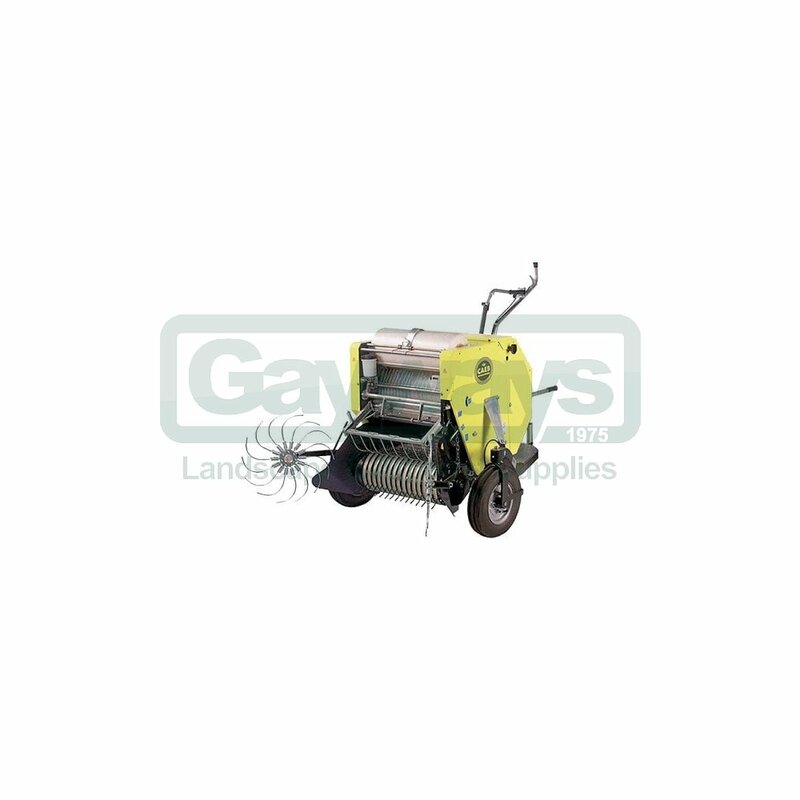 Each bale takes roughly 40 seconds to produce and the machine has a total output of approximately 1,500kg per hour. 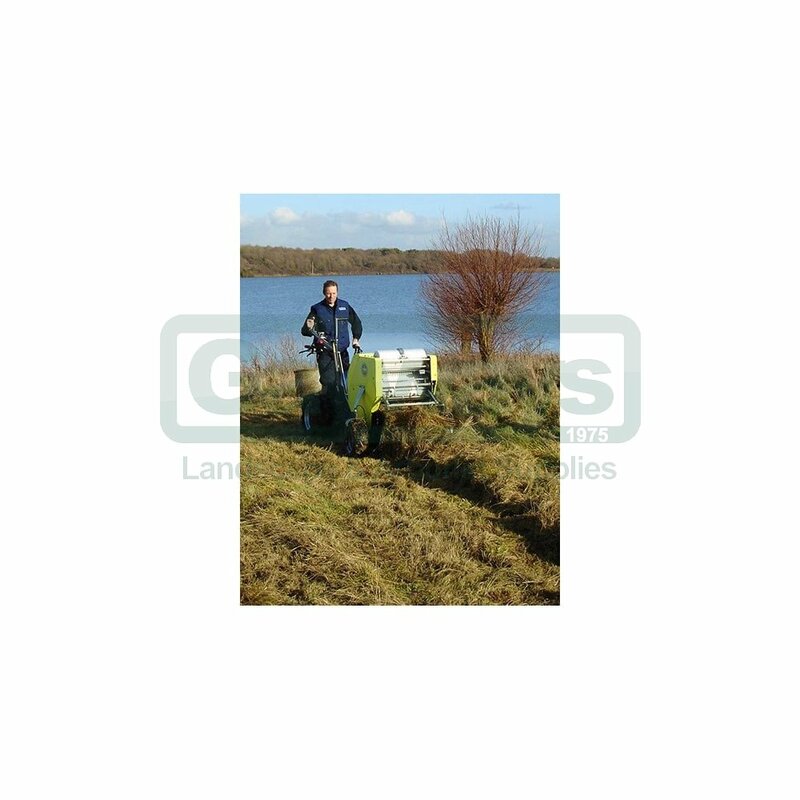 A bale counter helps you keep track of the number of bales produced and can be reset as required. 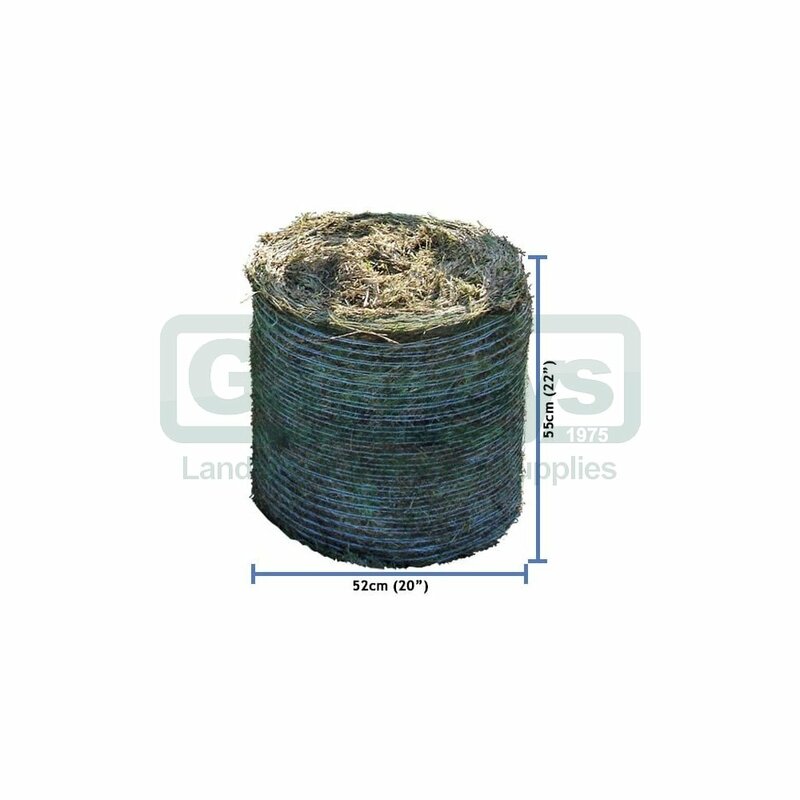 The bale core is less pressed than the outer to allow the hay to breathe and avoid mould forming. The outer is pressed to create a water-repellent protective layer. Gathering wheels are available as an optional extra. 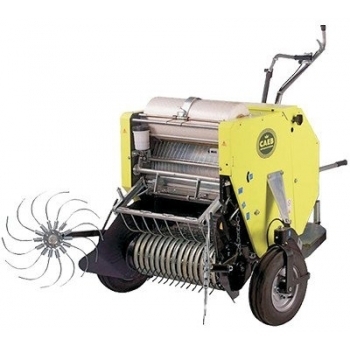 These help to gather "stray" grass, effectively widening the gathering width of the machine. 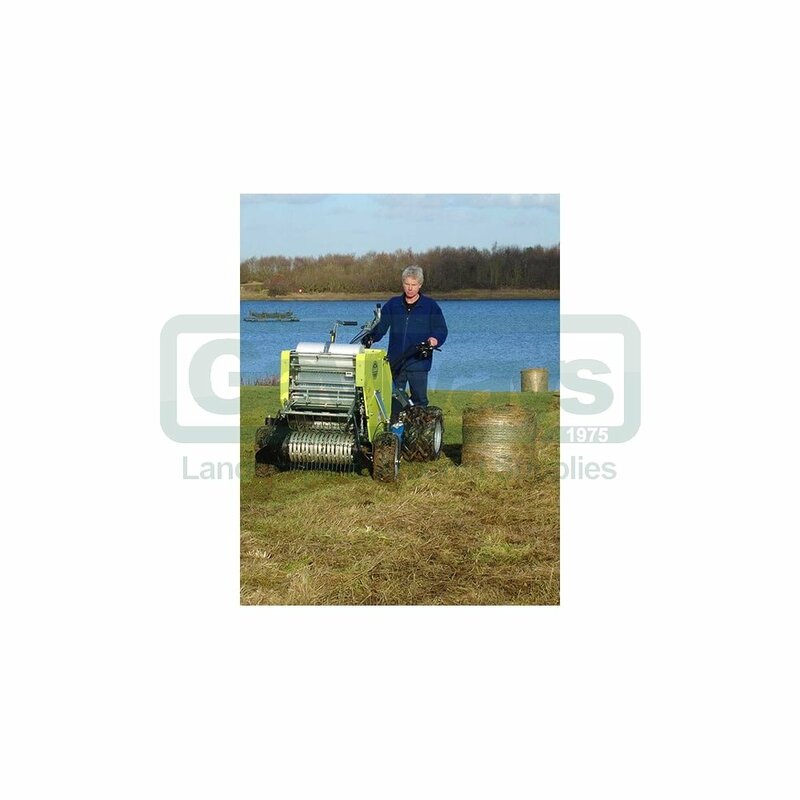 The mini baler is supplied complete with its own inbuilt coupling so nothing else is required, unless it is being fitted to the BCS 660 or 750, or the CAMON C15, in which case a specific coupler is required. If the machine is being used on a slope then twin wheels or steel bank wheels may be beneficial to help improve traction and stability.